Yes, there was once a time was vacationing in the Middle East was safe and realistic and perhaps even encouraged. That hasn't been true for a long time, of course. 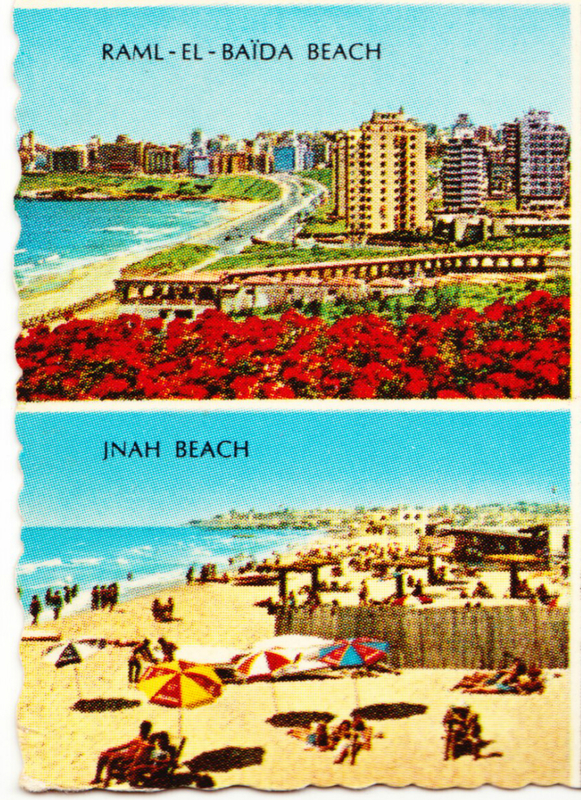 This postcard is from the same batch that included the postcard from this March post about the Jeita Grotto in Lebanon. This postcard was mailed to a Martha in the Bronx. There's no date, but I think the year on the postmark is 1970, though I'm not 100% certain. Having a fine time here in Beirut. Doing a lot of siteseeing & visiting many of their friends. Everyone is so nice & we're invited out all the time. We went to the beach, & visited a Casino, went through a cave in the mountains. Helda's husbands parents have a summer house in the mts. overlooking Beirut so we go up often, it's so beautiful. We went shopping downtown, they have a lot of American stuff. Bye for now. Love, Patsy. 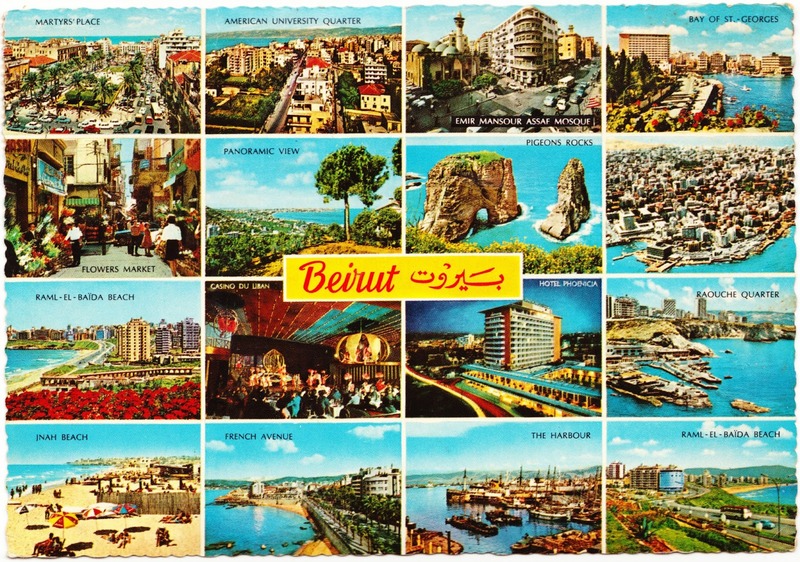 While there have been some short periods of relative peace and stability, Beirut hasn't really been a safe destination for tourists since the outbreak of the Lebanese Civil War in 1975, more than four decades ago.